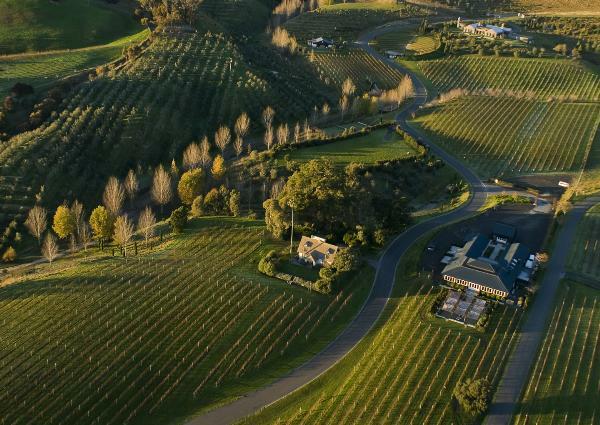 We are a small vineyard just five minutes from Havelock North in Hawkes Bay. With just over 25 acres many of our wines are available only through the cellar door & website. a perfect situation for the visitor to spend an hour or two, a night or two or even a week or two. You can taste our wines, dine at the Bistro, a Summer Saturday morning at the Market, an evening concert in the amphitheatre or all of the above by staying in one of our luxury retreats. We offer the perfect situation for the visitor to spend an hour or two, a night or two or even a week or two. You can taste wine, dine in the Bistro, visit the Grower's Market, shop local in our Kitchen store, enjoy an Amphitheatre concert, or stay in one of our luxury properties. We are open seven days and welcome a visit sometime soon.